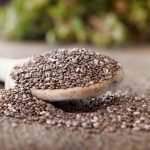 The Aztecs were using chia seeds as far back as 3500 BC. The seeds were considered a staple of the Aztec diet during the pre-Columbian era. 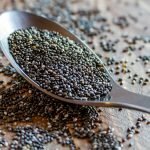 Chia seeds were used as both medicine and food. Historians consider chia one of the five main crops of the Aztecs. It was the third most important after corn and beans. 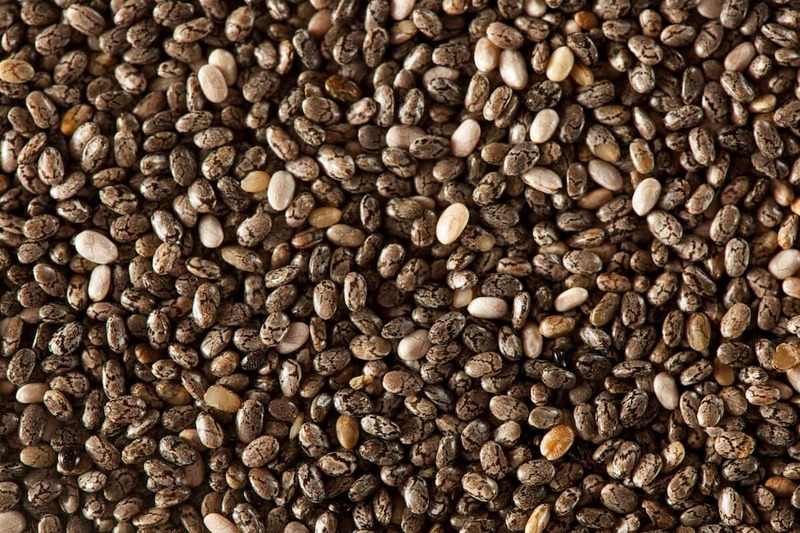 Chia seeds were so important the Aztecs would often pay their taxes with them. The use of chia seeds would decline with the arrival of Spanish colonists in the 1500s. They would suppress their use along with that of other indigenous foods. Chia seeds were suppressed because of their association with religion and other aspects of Aztec culture. Because of the suppression, chia seeds fell into obscurity for 500 years. Early in the 1990s, chia would see a resurgence. Their renewed popularity came from North and South American scientists working to produce chia and other lost Aztec nutritional plants. Today, chia seeds are produced by various Latin American countries including Mexico and Guatemala. The easiest way to describe the taste of chia seeds is to compare them to poppy seeds. Like poppy seeds, they are small and dense while providing a satisfying crunch is used without soaking. On their own, chia seeds have a mildly nutty flavor. Their subtle flavor means that they work well with other stronger flavors. Fiber: Chia seeds are very high in fiber. You can get as much as 2 grams from two tablespoons of chia seeds. Most importantly, the fiber in chia seeds is the soluble type found in beans and oats. Soluble fiber is effective for reducing levels of cholesterol. Antioxidants: Chia seeds contain antioxidants. Antioxidants help to fight free radicals and prevent oxidative stress to the body. Chia seeds are rich in omega 3 fatty acids. You can get the same amount of omega 3s from 2 tablespoons of chia seeds as from 4 oz of salmon. Vitamins and Minerals: Chia seeds contain selenium, potassium and other minerals. They also provide you with b vitamins like niacin. You can get 50 percent of your daily recommended intake (DRI) for manganese as well as 35 percent of your phosphorous intake. 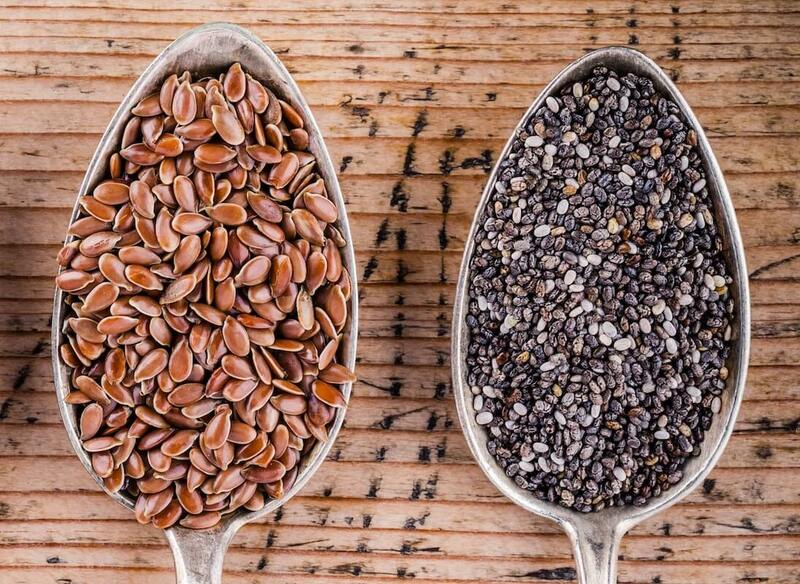 A serving of chia seeds also provides 18 percent of your DRI of calcium. Constipation: When chia seeds are soaked in water or fruit juice, they take on a gel-like consistency due to their soluble fiber content. This can help to make stools easier to pass. Swings in blood sugar: Chia seeds reduce spikes and dips in blood glucose. Fewer spikes and dips help to preserve insulin sensitivity. By preserving insulin sensitivity, they prevent stress to the pancreas. Diverticulitis: Because fiber absorbs water in the colon, diets high in fiber can help to decrease the occurrence of diverticulitis flare-ups. Consuming chia seeds can thus help to reduce inflammation in the colon. Chia seeds can be ground into flour, pressed for oil and may even be mixed with water and made into a drink. The flour made with chia seeds is called Pinole. Pinole can be used to make cakes or porridge. You can use the oil from chia seeds to make vinaigrettes for salads or sprinkle it on bread. In order to make a beverage with chia seeds, you can soak them in water or fruit juice. You can then use them to make the drink Mexicans call chia fresca. You can sprout the seeds easily. Use the sprouts in salads or in sandwiches.